Upgrading a car audio system is a process that should be treated with care and seriousness for you to get the best out of it. Without being considerate on some of the few factors, the chances are that you will buy low quality products. You will need to know the locations to install your speakers in the car. Leave alone that, you will also need to choose the speakers wisely. Without a careful selection of the speakers, you may end up buying speakers that may not suit your taste. You wouldn’t want to spend your money on something that you don’t love, right? That is why we have decided to guide you through on how to choose car speakers. 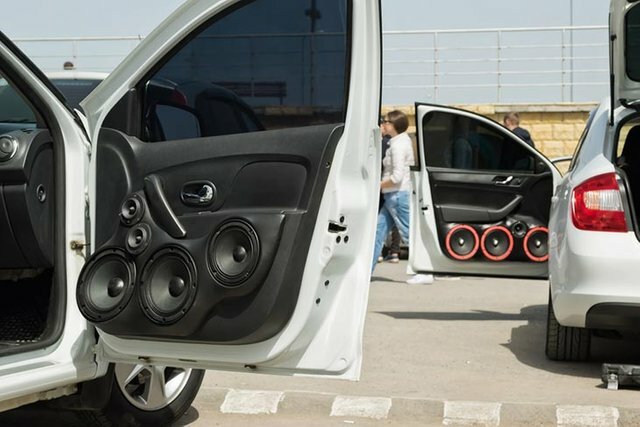 Here is how you will best choose your car speakers; Beside that we have a list of best car speakers you can refer and find the most suitable one. This is the first thing that should come to your mind. You must decide on the type of speakers you want to install. This means that you will also need to see whether the new type of speakers will be compatible with your old system. Aside from that, there are basically two types of car speakers that you will need to choose from, coaxial and component speakers. Coaxial speakers or full range speakers are among the most popular type of speakers that most of the people go for. One of the factors that make them great is that they are always compatible with most of the factory sets. They comprise of the speaker sound drivers all on one unit. That means that the woofer cone and the tweeter cone are all integrated together. Most of the time, the tweeter cone will be placed in the middle of the woofer cone or on the top part of the woofer cone. On sound quality, they are a little bit off. They are however the best for the budget. The better part is that they are great for replacing with your OEM units. High-end coaxial speakers sound better than even some component speakers. If you are willing to spend more cash, then it will still be a better choice. Component speakers are the best for sound quality lookers. If you are an audiophile and you would wish your music to sound exactly the way it would have sounded in the studio, these are the speakers you should bet on. Component speakers, unlike coaxial speakers, have their sound drivers separated from each other and ran through a crossover. What this design brings to the table is the ability to custom install them and have different sound frequencies determined to come from certain drivers. The fact that you can custom install component speakers alone changes the game. The way you position the tweeter about your ear matters a lot. If you get it right then, your speakers will be booming. A limitation that comes with this type of speakers is that they are expensive in two aspects. The buying cost is high, and the installation cost is also high. You will need some special techniques to install them. Most probably you may need to hire an audio expert or a mechanic to do the wiring and stuff. Here is a quick video guide on speakers that will help in the selection process. This is also a very crucial issue to consider on how to choose car speakers. Choosing the best speakers involves money. You will need to make up your mind on the price range of the speakers that you are anticipating to buy. Now that you know the type of speakers to go for, it will be easier to set up your budget. You can always find the best coaxial or component speakers under $100, under $500 or even over $1000. The choice will always be yours to make. This is the third step that you will need to consider after making up your mind on the type of speaker you are going for. If you have chosen coaxial speakers, for instance, you will need to ask yourself whether the speaker is 2-way or 3-way. I know by now you have dealt with a lot of confusion between the types of speakers and the configuration. These are completely two different things. In simple words, a speaker configuration is the number of sound drivers in a speaker, i.e., 2, 3 or 4 and the type of a speaker is how the sound drivers are installed in a speaker unit, i.e., separated or integrated. So a coaxial speaker can still be a 2-way or 3-way and same as a component speaker. A 3-way coaxial or component speaker is better than a 2-way coaxial or component speaker. This is simply because a 3-way coaxial or component speaker will have a midrange driver so the speaker will not sound muddy and congested. This is because the frequencies will be split into three bands which are the bass, midrange and the highs. For a keen listener, a 3-way speaker will sound clearer than a 2-way speaker. There are special occasions that a super tweeter might be introduced into the configuration. In this case the speaker will become a 4-way speaker. The super tweeter will introduce details of the high frequencies that a normal tweeter might not have responded to. These are rare and expensive speakers and mostly are component speakers. In short, the higher the configuration, the better the speaker and the choice is up to you. You will also expect the price will go up with the configuration. Speaker size is a key factor you may need to look at when choosing your speakers. The most common speaker sizes are 6×5, 6×8 and 6×9. What this majorly represents is the size of the woofer cones. You will need to measure the size of your old speakers because you will need this information when shopping around for new speakers. Changing the size of your speaker means that you may need to do some installation configuration. You may need to drill some extra holes so that it fits into the installation points. Keep this factor in mind, and you may choose your best car speakers. You will need the right speakers that will run well without overworking your amplifier or your car unit hence the power handling. The speakers you are going for should be able to support the power from the head unit or the external amplifier. It is always advisable to choose the head unit or the amplifier first before choosing the speakers. This is so that you may get the right power output that merges the speakers that you are going to buy. In a case where you are going to the speakers first, you may do it then look for an amplifier or a head unit that will take full advantage of your new speakers. Use the root mean square (RMS) value to determine the power handling of your new speakers since this is the most important power handling value, the rest is the manufacturer trying to hype their products. 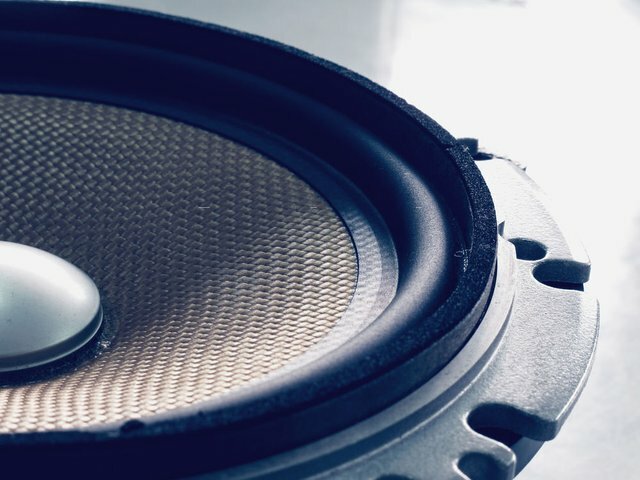 When it comes to looking deeper into the technical part of your speaker, this is another factor that you may need to consider when choosing a car speaker. Speaker sensitivity is how the speaker converts the one unit of electrical power given to it to a sound signal. In short, it is the amount of power that the speaker requires to give power. High sensitivity means that the speaker will use less power to produce more sound and verse versa. You might need a high sensitivity speaker for your factory head units because they are less powerful. There you have it on how to choose car speakers. 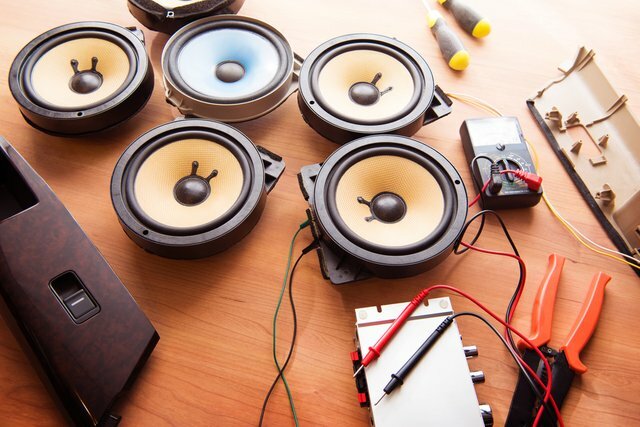 These are the easy steps that will lead you to choose the best speakers for your car. It is important to note that it is easy to mistake good sounding speakers with bad sounding speakers. You might have worked hard in choosing the speakers but failed in installing them. It is, therefore, more than just looking at the speakers. It comes to even being a good listener, sound treating your car, correctly installing your tweeter and much more. Be careful to put that in mind now that you know and we hope that you will eventually have a good sounding car system. Those are our final words friends, and we hope to find out your say about these few steps of choosing car speakers. ✅ @kevinsteffey, I gave you an upvote on your post! Please give me a follow and I will give you a follow in return and possible future votes!